It is HERE! My buddy Jay put my 1993 interview of Richard McGhee Star Vocalist up and it is available here in video format (you can even download it). 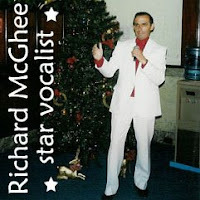 Richard McGhee Star Vocalist (1993) QuickTime video 18.4 MB - 25 minutes. Mark Harvey interviews Richard McGhee Star Vocalist. I first met Richard McGhee in the Castro at the Cabaret DuNord. He reminded me of Harry Dean Stanton doing karaoke Sinatra standards, which if you think of it, sounds pretty cool. After his performance, I got to sit and talk with Richard a bit, and we became friends. I asked if I could make this video about him, and he agreed. I followed Richard McGhee around to a few gigs and recorded these early performances. Later on when Richard was playing the bigger venues like The Warfield, he would always get us back stage passes so we could help Richard prepare for his show. Opening for acts like Swell, Smashing Pumpkins, and The Cramps made Richard an overnight cult icon, and The Fillmore had him up in their lounge as a regular until Richard's dying day. I spoke with Richard on the phone the day he was packing up to head back to his mother's house. He had been diagnosed with cancer. Richard died 3 weeks later in Ohio near his family. An inspiration to us all, this site is dedicated to the memory of Richard McGhee Star Vocalist. This video documentary was shot in San Francisco California, 1993 on VHS camera, edited between two VHS decks, and mastered onto VHS. Digital transfer 2003, compressed for the web 2008. 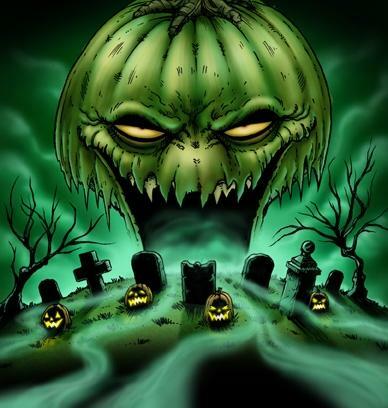 Since Halloween is fast approaching I have been telling co-workers about my 13th Track.com Halloween Radio website. I've found some of them listening to internet radio and figured, "HEY! You should be listening to my music". So I've turned a ton of people on to the broadcasts and it has been kinda nice walking around the 106,000 square foot building I work at listening to my music being piped in offices, cubicles and workstations. A lady I work with stopped me and said she's really been enjoying the music (been listening to 13thTrack.com Halloween Radio both at work and at home) and she told me her favorite track was The Family Plot off of my Fleshrot: Songs of the Dead CD (also called Caverns on my Pumpkinland II CD). So here's another chance at shameless self promotion - I have a review of Fleshrot below and one for Pumpkinland II...which by the way I am mastering on Monday (the 20th of October) along with Pumpkinland III and then off to the manufacturers to replicate a bunch of them for sale - new artwork - better sound - all good. So how about a FREE MP3 download of The Family Plot/Caverns taken from my Fleshrot/Pumpkinland II HauntScape? Click here to download the track (link disabled), but please read on! The main man behind this is Mark Harvey. Mark Harvey has been writing and recording music for 17 years. He founded Nobody Records in 1987 at age 18 to promote and release his first LP. He opened Pumpkinland Studios to record various solo and band efforts. 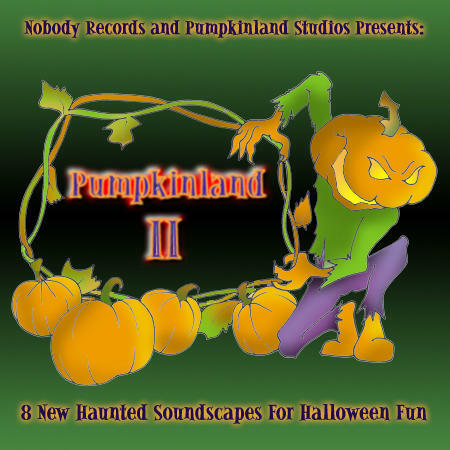 In 1999 he released his first Halloween 'HauntScape', Pumpkinland, for use in theme parks, haunted attractions and by home haunters. His work includes commercials, custom haunt tracks, soundscapes and sound effects. His work has been heard on radio, television and film. So now you know a bit more here are my notes on each track. Mark Harvey and Co. have created a superb CD. Right up there with many horror sound tracks,and actually better than most of them.So if you are into rock and cool ambient tracks this will be right up your street. Nice one. "Harvey returns with a second shot at scaring patrons with the second installment in the series. 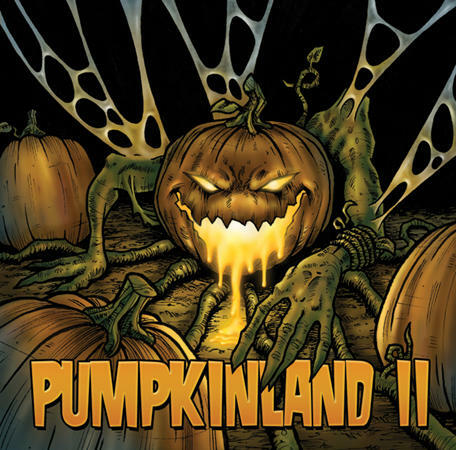 The sound is similar to Pumpkinland, but Pumpkinland II is more effective in bringing on the chills. Harvey relies on natural sounds, like howling wind (Nightfall), noises of the deep forest (Lagoon, Caverns) and other assorted bumps in the night. 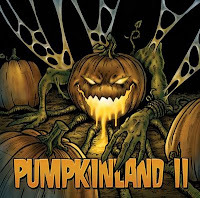 Smooth and creepy, Pumpkinland II is best described as new age music for the Halloween set. Eight tracks total in one hour's worth of aural horror."